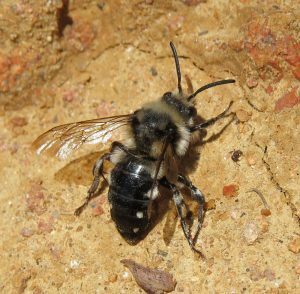 Mourning bees are unmistakable solitary bees with striking white spots down the sides of their abdomen. They are cleptoparasites which will invade the pre-stocked nests of their host, Hairy-footed flower bees (Anthophora plumipes) and lay their own eggs. The larvae hatch before the host’s and consume the competition as well as the stored pollen, ready to emerge as adults the following spring. Males look almost identical to females and can be difficult to separate. They are somewhat smaller and less bulky. Females are fairly large, robust bees which are mainly black with a broad pale grey/white across the collar and extending down the sides of the thorax. The abdomen has four distinctive patches/spots of white hair down the sides. Found in a wide variety of habitats, but especially where its host is nesting in high densities. Urban greenspaces, parks, gardens and soft cliff faces are good places to look out for them. They feed from a wide variety of spring blossoms, such as apples and cherries, and can also be seen feeding on dandelions, gorse, wallflower, rosemary, and kidney vetch. Seen from March to June. Commonly found where its host occurs and following its host’s spread northwards. Current distribution covers most of southern Britain with records up to Yorkshire, although this species is scarcer in the southwest of England and Wales. 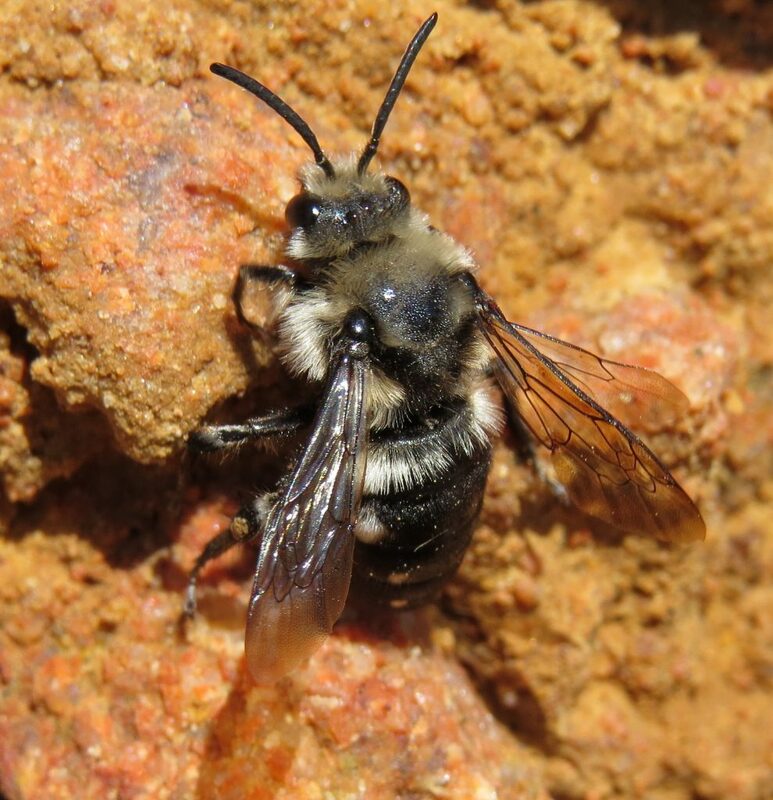 There is another bee called the Square-spotted mourning bee (Melecta luctuosa) which looks almost identical, although it has larger square shaped spots of hair on the abdomen and slightly paler hair on the thorax. 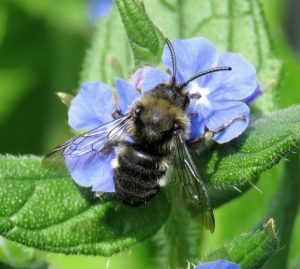 This species has declined dramatically (coinciding with the decline of its host the Potter flower bee, Anthophora retusa) and is sadly presumed to be extinct in the UK.